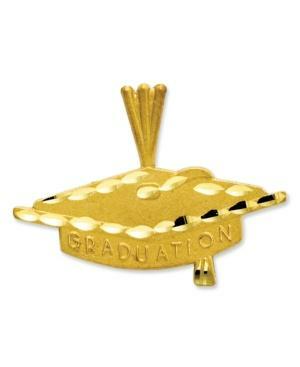 The perfect Graduation Day gift, this commemorative charm will make the perfect addition to his/her collection. Crafted in 14k gold. Chain not included. Approximate length: 9/10 inch. Approximate width: 3/5 inch.